**Replace a stand that’s no longer fit for purpose? **Add value with a new fit-out or redevelopment? GL events UK is an expert in the design, manufacture and installation of permanent seating solutions for stadia across the UK. Grandstands are constructed in aluminium, concrete or steel and may incorporate goal posts, nets, corner flags and players’ tunnels. A range of add-ons can be incorporated into the grandstand including VIP seating, commentary boxes, camera platforms, toilets, AV equipment, signage and digital advertising. The experienced team can also re-develop an existing stadium to incorporate new offices, restaurants, bars and spaces for conferencing, banqueting, training, changing rooms and toilets. 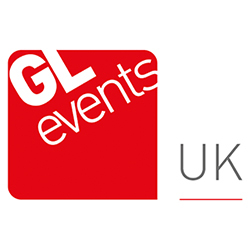 Safe contractor approved and a member of MUTA, you can rely on GL events UK to deliver your project to the highest possible standards of quality and health and safety.